I still remember during my high school days, whenever my mum brings me to the salon, the hairstylist would complement on my hair. They used to tell me that I have such beautiful, thick, and smooth hair. It used to be so smooth that whenever they want to cut my hair they could easily comb through my hair strands. Ever since I started dyeing my hair frequently my hair has been dry, fine, and easily prone to breakage. Hairstylists now tell me instead that I need treatment. My hair strands used to be pretty thick, but with all the hair coloring and hot tools they have gotten very fine. Over the past years I have been dyeing my hair so frequent that I don’t need to bleach to get the color I want. From Red, to brown, to ash brown, to ash green, and ash green again… the next color that I plan to dye is dark ash blonde. You see! Despite knowing its bad for my hair I can’t seem to stop dyeing them. Some of you might be thinking, what about treatment? Well since I spent so much on hair coloring I can’t afford to have hair treatment every time. I have tried a few moisturizing shampoos in the market, even the professional range. But unfortunately due to my sensitive scalp I can’t use them for long. 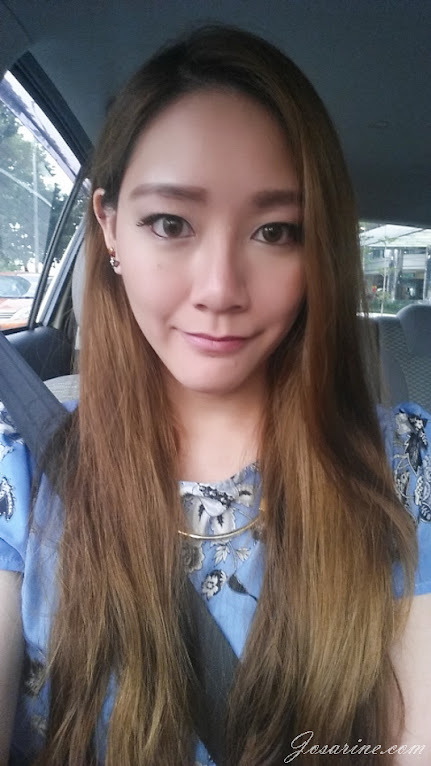 There were some shampoos that did not irritate my scalp however also showed no difference on my hair. 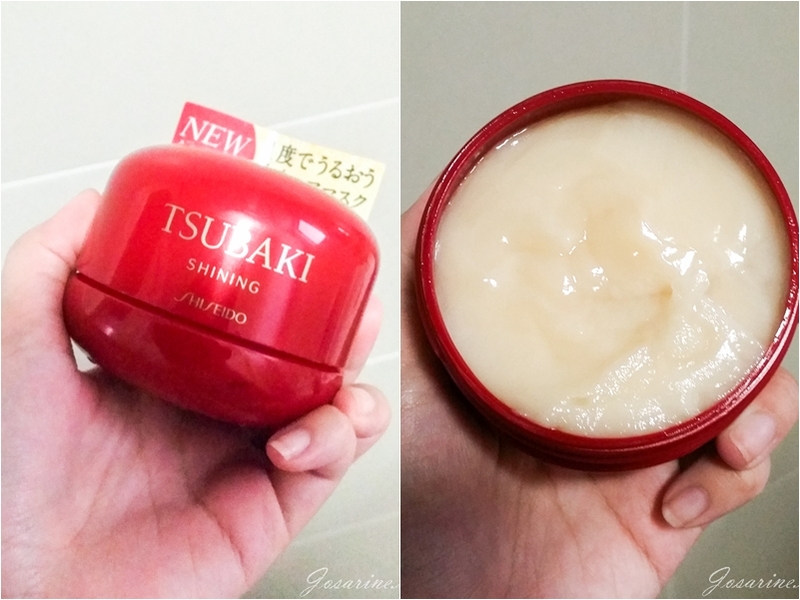 Recently I was introduced to TSUBAKI hair products by Shiseido, the “Shine and Moisture” range for normal and dull hair. 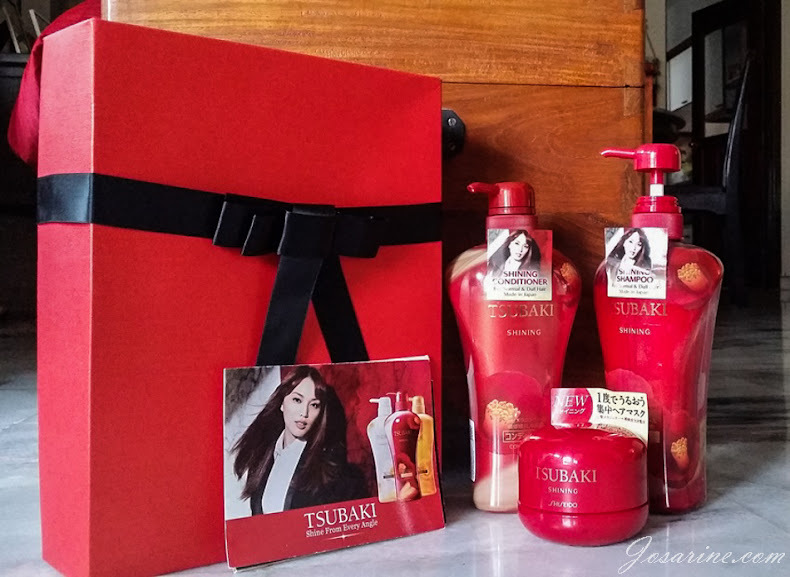 Tsubaki is a premium haircare brand in Japan. Did you know that Tsubaki contains high purity of Camellia Oil and this ingredient can only be found in two countries out of the entire world? Those two countries are China & Japan. Japan has also been providing the finest Camellia for 140 years. 1. High purity Tsubaki oil extract that protects & coats hair for extra shine from root to tip. 2. Shine sensor mechanism that will lock in the luster enhancing ingredients to dramatically improve hair smoothness and shininess. 3. Tsubaki Leaf Essence that will help condition hair cuticles that have been damaged, create shine and moisture. My main worry about this type of moisturizing range is irritation to my sensitive scalp. Also, I have tried a few damage repair shampoos and so far none of them made a difference to my hair. Yes at times it may feel a little smoother than before, but overall it still did look kinda damaged. However, Tsubaki was strongly promoting the “Shine from every angle” tagline that caught my attention. Will this hair product be able to bring back shine to my chemically damaged hair? This picture taken with TR camera and yes TR cameras are AWESOME! However, even with the help of the beauty mode and TR camera, I can still see the damage on my hair. As most of you girls know, Samsung Note 3 front camera is kind of like a beauty camera that lightens imperfections on its own. Now I’m going to show you my hair after using TSUBAKI Shine & Moisture shampoo, conditioner, and hair mask (used once) over a period of only 3 days! You ready? But before that, I would like to share my experience with this product. Shampoo: Cream texture that lathers into foam very easily. With dry, fine, and tanged hair like mine, this type of shampoo is will make my everyday hair washing experience comfortable, easy, and fast! As mentioned above, I was worried that it would irritate my scalp, but to my surprise it didn’t! 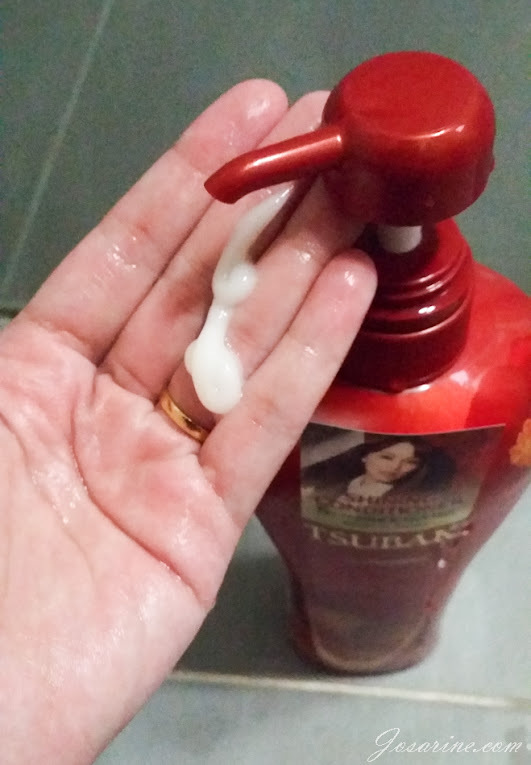 It moisturizes hair lightly without irritating my scalp. *People with oily scalp is recommended to wash, rinse, and repeat. Conditioner: From my personal experience, my hair was a little untangled from the shampoo. But with long hair like mine, I would always use a conditioner after. After shower, when I was about to comb my hair, I was surprised by how easily my wide tooth comb went through my hair. Yes I use wide tooth comb and even with that I still experience tangles, due to that I would use my leave in conditioning spray before I comb my hair. But at that time, even without my conditioning spray I was able to comb my hair easily and quickly. At that time, it brought back memories to the time when the hairstylists used to tell me I have beautiful hair. Treatment: The texture of the treatment is pretty thick. 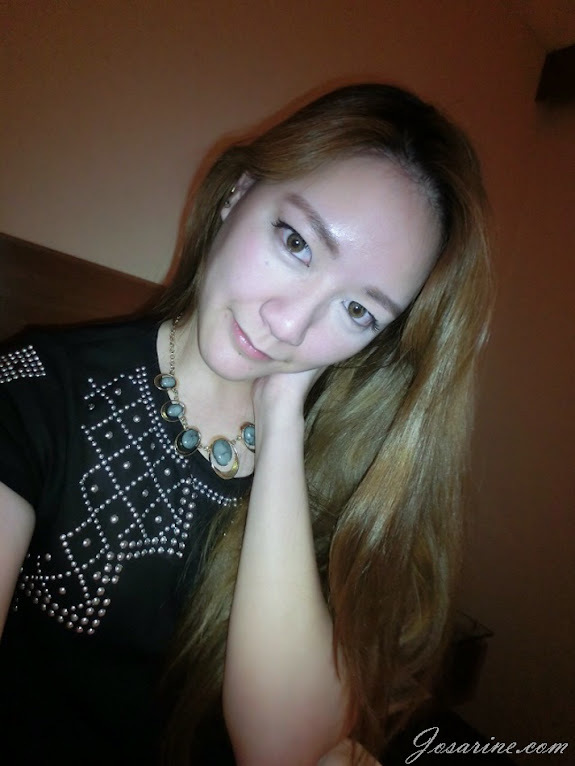 After rinsing the treatment, the after feel is not the same as the conditioner, however after I dry my hair and comb it, I noticed that my hair looked a little healthier. Take a look at the before and after. 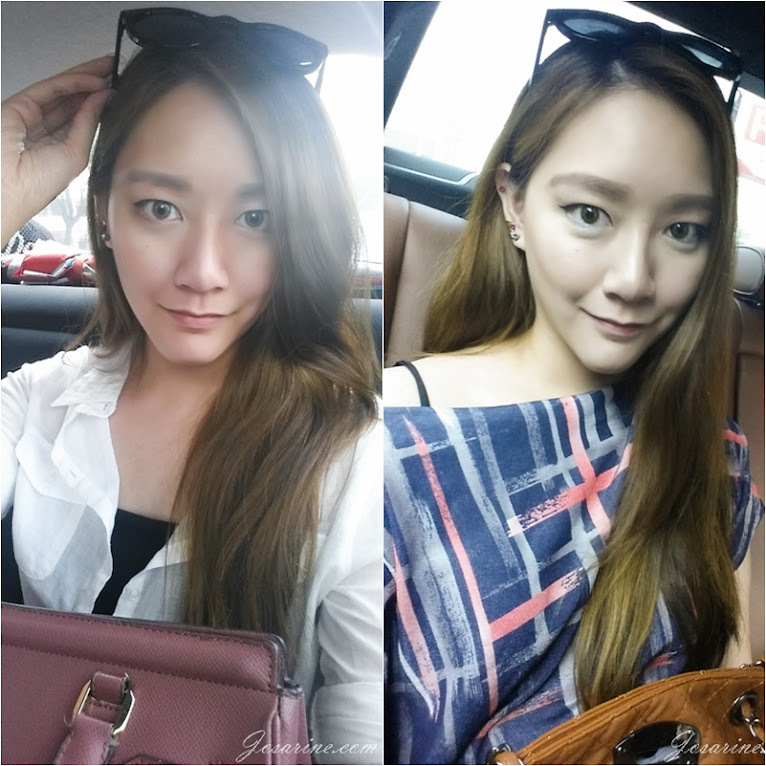 Both pictures were taken in the car with natural day light, using Samsung Note 3 front camera. The color however may look a little different because of the angle and lighting, you know the drill. I was really surprised when I saw my hair in this picture, I don’t remember the last time my hair actually looked this shiny, like seriously. For all you fashionable, classy and trendy women out there, want a “SPA” for your hair? Then this is it! Price: RM18.90 for 220ml and RM38.90 for 550ml. Hair mask is RM44.90. Visit Tsubaki Facebook Page for more info on where you can get them and also their promotion price!